to protect your mailbox this winter. Available ONLY on the web! Safeguard against mailbox replacement, lost mail, and identity theft. 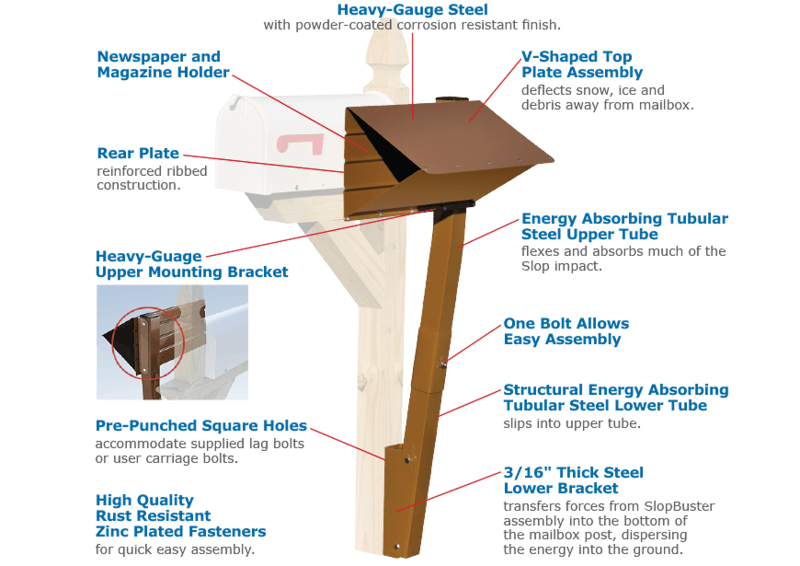 SlopBuster™ is a patented & highly engineered system built to deflect and absorb the impact of slush, ice, and snow thrown by passing snow plows into your mail box. It reduces damage that can lead to costly replacement.